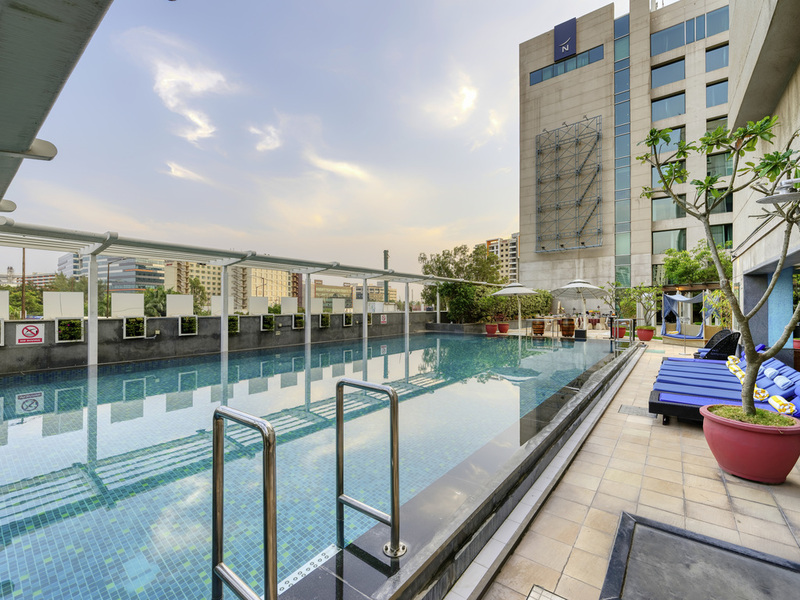 Novotel Bengaluru Outer Ring Road brings to you a journey of balance between work and pleasure. Experience the advantage of being close to major IT parks for business during the weekdays and relaxing comfort of Novotel over the weekends. Strategically located in the heart of the IT corridor- Novotel Bengaluru Outer Ring Road brings to you different categories of beautiful rooms that are sleek and contemporary designed, full of modern day amenities suitable for your stay. In proximity to numerous IT parks and corporate hubs notably- Ecospace Business Park, Prestige Techpark, Cessna Business Park, Salarpuria Techparks- Novotel Bengaluru Outer Ring Road offers the perfect residence to travelers across the globe. Delice is a 24-hour specialty cake and gourmet shop that presents a delightful selection of authentic breads, cakes, French pastries and chocolates. At Blue Terrain, savour the pool side dining experience with your loved ones over aromatic grills and delicious barbeque delicacies on offer and an exquisite bar serving refreshing signature cocktails and selection of spirits. An idyllic destination for relaxed corporate lunches on weekdays, and fun interactive family dining on weekends, The Square is especially popular for its lavish and sumptuous buffets with three live cooking stations set against modern European décor. The French Café & Bar is open 24/7 and sets the perfect ambience to unwind and relax in the evening over exotic Chai'-tinis- personally trademarked by our bartenders involving tea decoctions infused with alcohol.